During the second season here at PTC, I have had many opportunities to expand my photography and design portfolio. This last week has added “illustration” to that list. 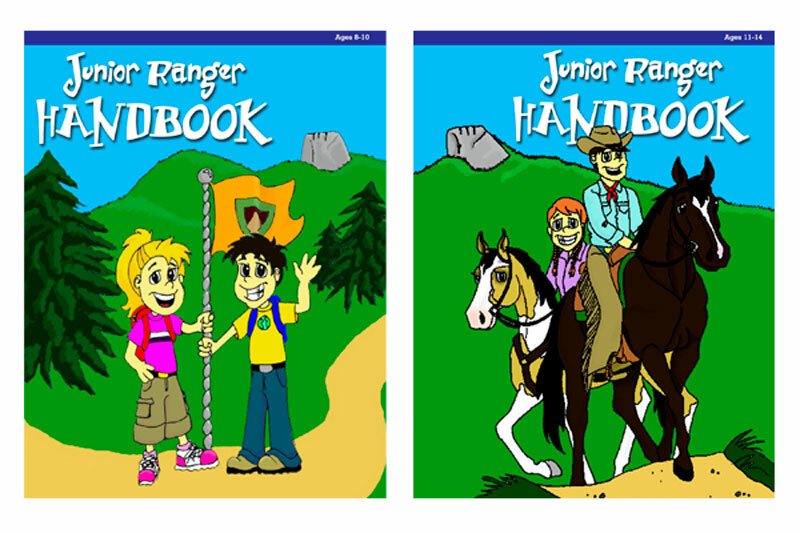 These are two of the three covers that will eventually end up on the handbooks for our Junior Ranger program. I drew them free hand, then scanned them and imported them into Photoshop Elements, where I did all the coloring with my nifty digital pen. I have really enjoyed the process, and I’m pretty pleased with the result. Maybe a little too pleased.